One of the most important areas of service to the liturgical life of a parish is music. This is the calling of every member of the worshiping assembly. The choir sings at the 9:30 a.m. liturgy on Sunday and rehearses directly after Mass. Additional rehearsals scheduled on Wednesday evenings when needed. The choir season begins in September and ends in June on Father’s Day of the next year. The choir helps us celebrate at sacramental times such as Confirmation (this has been the combined choirs of IHM and SJW most recently), special liturgies such as our Annual Memorial Mass for families, and all the festive occasions such as Thanksgiving, Christmas, Easter and landmark anniversaries. During the Faith Formation class sessions, we invite all our YOUNG PEOPLE who attend the 9:30 a.m. Sunday Mass to come and sing the hymn for the Preparation of the Gifts. The children learn new songs through this avenue and love joining in the participation of the singing. 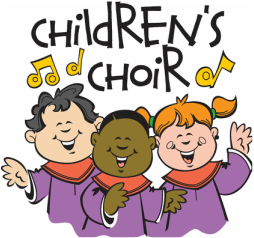 The children who form the core of this choir also participate in our 4:00 p.m. Christmas Eve liturgy in which the birth of Jesus is highlighted in our Christmas pageant. The children also join in the joyful alleluias of our Easter Sunday celebration at the 9:30 am Mass. 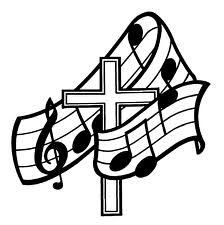 Our Resurrection choir is composed of some of our Adult Choir members and any other interested parishioners who wish to share their gift in this ministry. Our Resurrection choir does our church a tremendous service and sings at the funeral masses when they are available. This is so helpful to families as they are supported in their loss by the comforting sounds of this choir singing consoling music. For more information or to join today, please call 315-451-5070 or submit this form.